Apple re-invented Mobile , HTC copied it, And still trying hard all means, no you wont get there, The Master of the creation is way ahead, now coming to the platform nobody knows yet, if the Android OS work on mobile, But it is long way, Apple are miles ahead when they think of launching product, Yes we do have competition, But dont copy Apple, come with own ideas, Apple has set a benchmark, today everybody seems to a peice of the similar pie with there product protfolio. 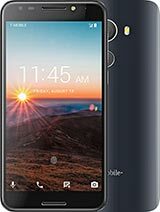 to "This phone will be better than the shameless and expensive SE Xperia! A new OS, can't wait to try it in person! SE and Nokia don't have the same innovation plan as HTC!" do you know google approach nokia for joining their os tog with the world largest user os nokia's symbian s60? but nokia reject and so the spare htc company come in. iPhone...the most gorgeous phone on the planet! but nobody can ever get close to you honey. Bt iPhone is like.."oh ye noobs!" I think this phone is for kids that do not drive or multitask. I need a phone that will allow me to text with one hand this one is not it. I might as well carry a computer it would be just as heavy and big. design is everything and this phone does not come close. I hope tmobile gets with the program, they are way behind and this does not get them much closer to the other carriers!!! WTF!!!!!! Stick to search engines google. this could be the most complete phone. it has everything! it even has both hsdpa frequecies for europe and the u.s. the iphone doesn't have that. 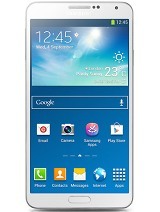 plus it seems this phone will be bigger hit because it's open and not so much proprietary like the iphone. the only thing it lacks against the iphone is the design. but it does have a physical keyboard rather than the gimmicky touch screen keyboard which most people complain that one can't really use efficiently. What it's mean this cellphone suport HSDPA 2100/1700??? It cuould be 2100/1900? I think so. Hmm.....alot of speculation from alot of fanboys. I don't see why all the hate. 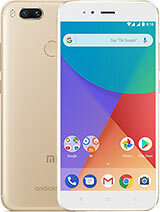 The phone hasn't even been released and yet it is being compared to the iPhone. 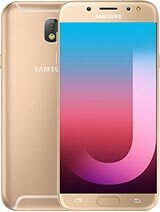 I hope that you guys don't buy this phone because I wonder what you would do to yourself if you actually started to like the phone. I think that this is actually going to be a great, powerful, and versatile phone, and YES alot of people do use the full qwerty keyboard. Alot of people actually look forward to it. wait and see? I can already see that this phone is 117 x 55.7 x 17.1 mm which is way too big compared to others in this category. And at 158g is way too heavy! Game Over google! Zack Sandoval, 23 Sep 2008I Love the android it looks like the best thing in the world, plus it is PRETTY i cant wait to... moreYou are right I am surprised that there are so many negative comments on something so pretty! Can't wait to get it, I'm gonna get the brown one to match my belt! This phone will be better than the shameless and expensive SE Xperia! A new OS, can't wait to try it in person! SE and Nokia don't have the same innovation plan as HTC! Tyler Fountain, 23 Sep 2008I have experienced this phone first hand at a private investor's meeting and all the hater's o... moreYou are completely right Tylor. People just talking bla, bla, bla without any knowledge about capabilities of G1. What are you talking people? Bad this, bad that, bad OS etc. Are you crazy? Android OS - platform is a great with a lot of capabilities. Hey, wise guys! You are which just talking about that how bad is G1, I am asking you is somebody of you hold this phone of his hands. WHAT? I can't hear you. No. So, if I understand right. All of you talking BLA, BLA, BLA, about phone which are you seen only on the picture. Shame on you, wise guys.